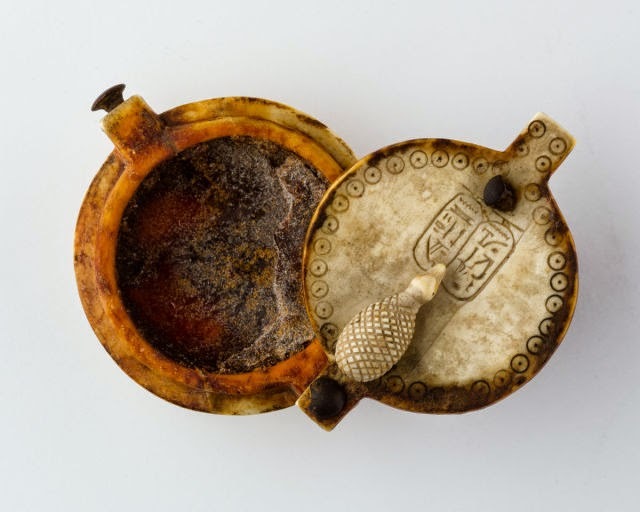 Ebony and ivory unguent (perfumed, oily ointment for external use) box of Queen Nefertari, ancient Egypt, ca. 1295-1186 BC. Saddle, ca. 1400–1420. Made in perhaps Bohemia, Central Europe. Staghorn, lindenwood, rawhide, birchbark, polychromy. 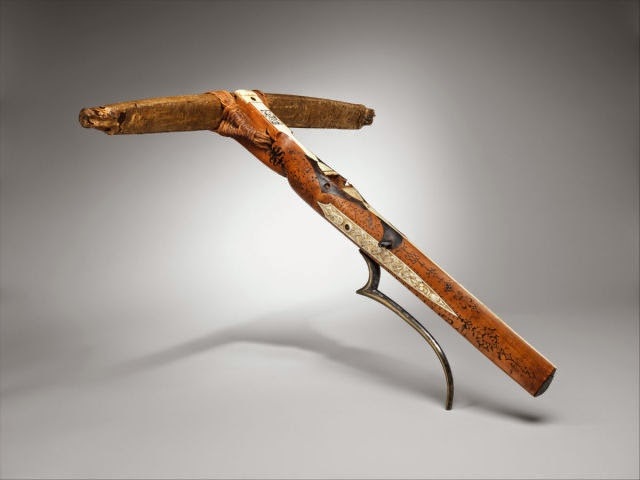 Crossbow of Count Ulrich V of Württemberg. 1460, Stuttgart. 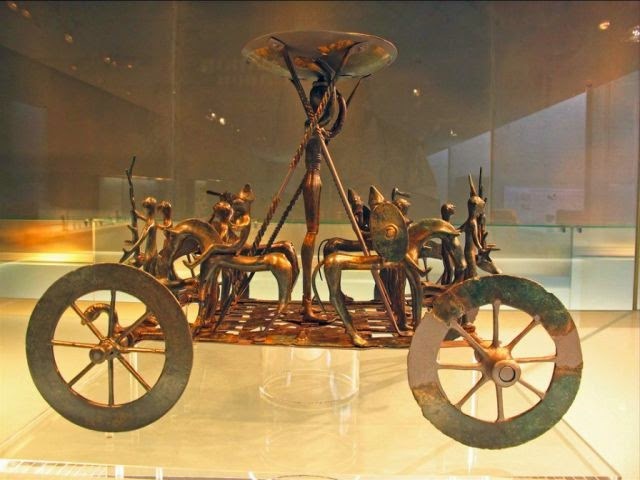 Cult Wagon of Strettweg, 2400 years old. Fourteenth century war hammer (battle hammer) from the Gravensteen Castle Museum in Ghent, Belgium. 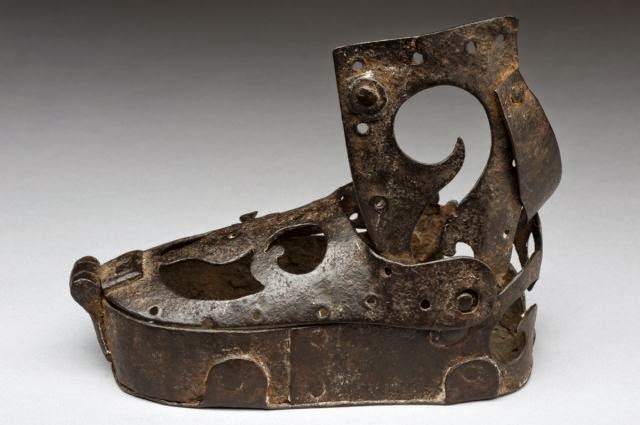 Child's ankle support (orthopedic shoe), Italy, 1501-1600. 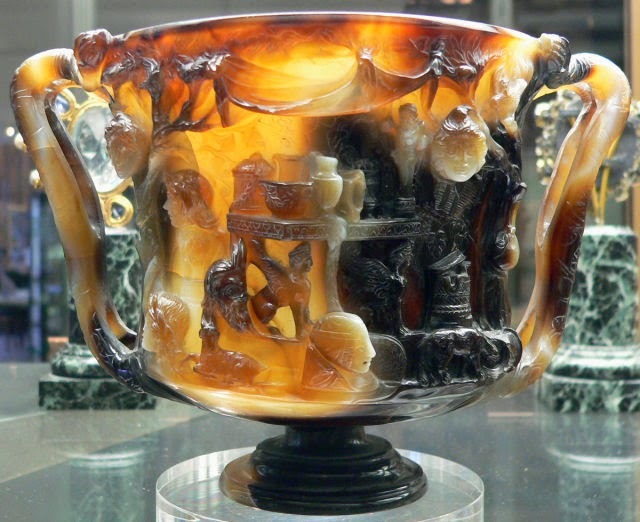 Cup of the Ptolemies, Sardonyx, from Alexandria, 1st century BCE - 1st century CE. Cabinet des Medailles, Bibliotheque Nationale, Paris. 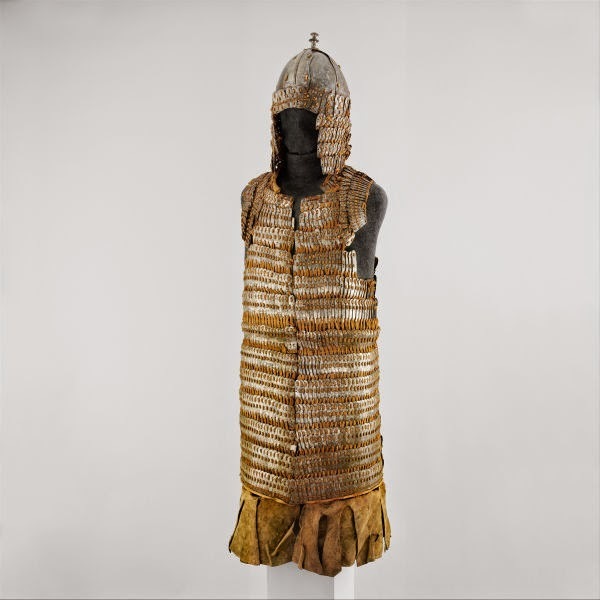 Lamellar Armor (Byang Bu'i Khrab) and Helmet. 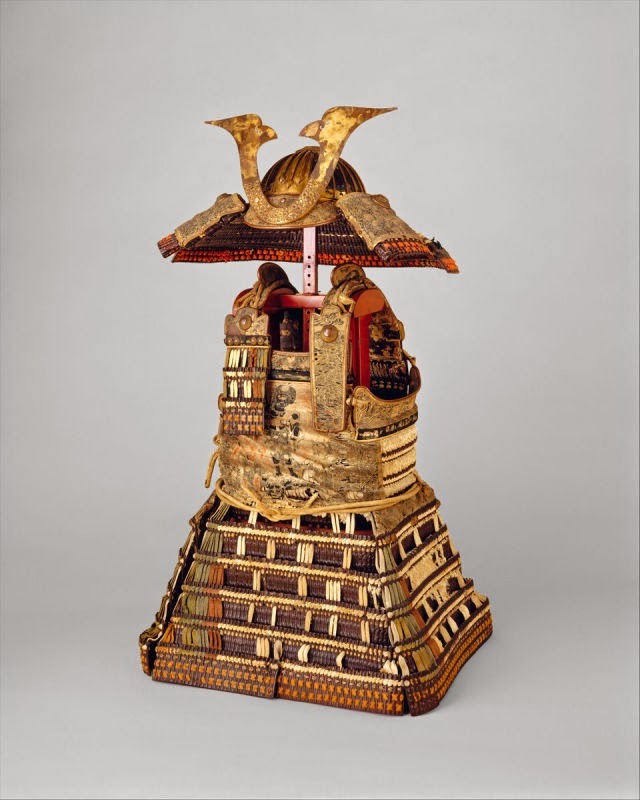 16th–17th century, Tibet. 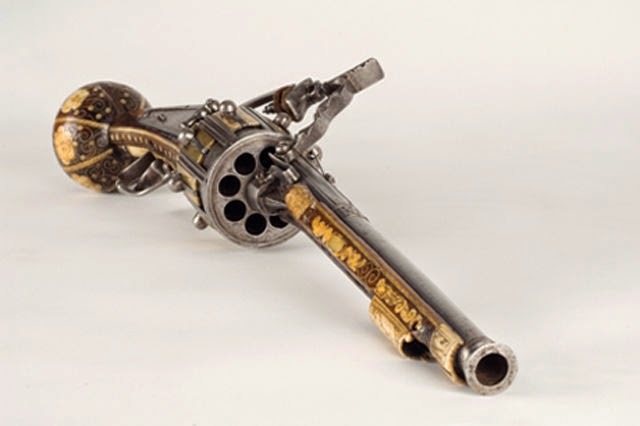 The world's oldest known revolver was made in 1597 by Hans Stopler in Nüremberg. 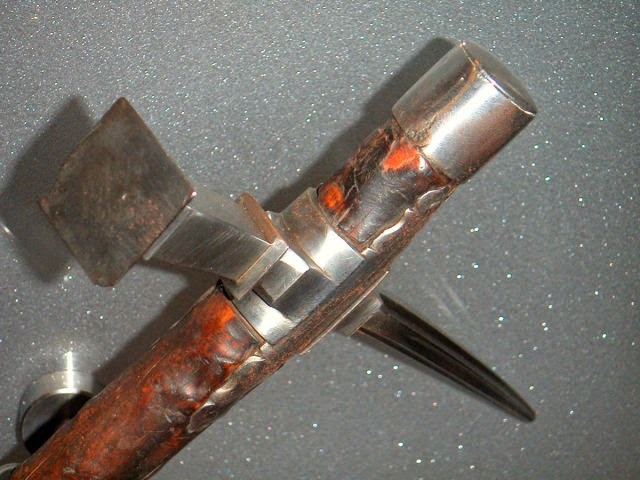 Flintlock mechanism, 8 shots. Ancient Roman folding multi-tool device. The tool features a knife, a spoon, a three-tined fork, a spike, a spatula, and a small pick.2nd century AD. 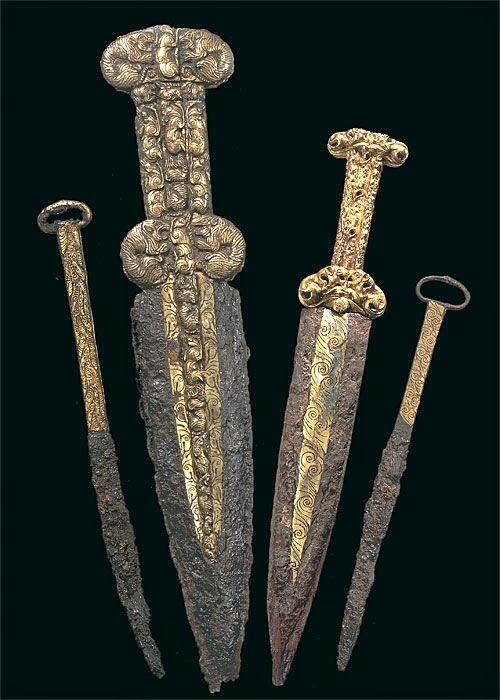 Scythian iron daggers and knives with gold plating. 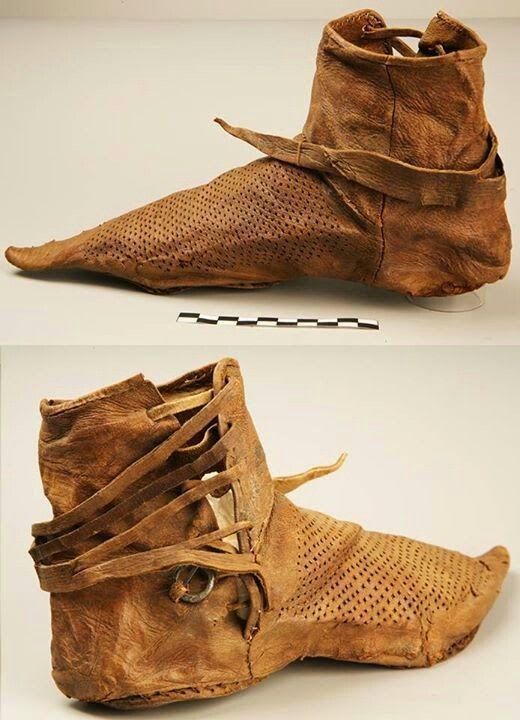 6th-5th c. BC, from Arzhan - 2, Scythian royal necropolis in Tuva, Southern Siberia. 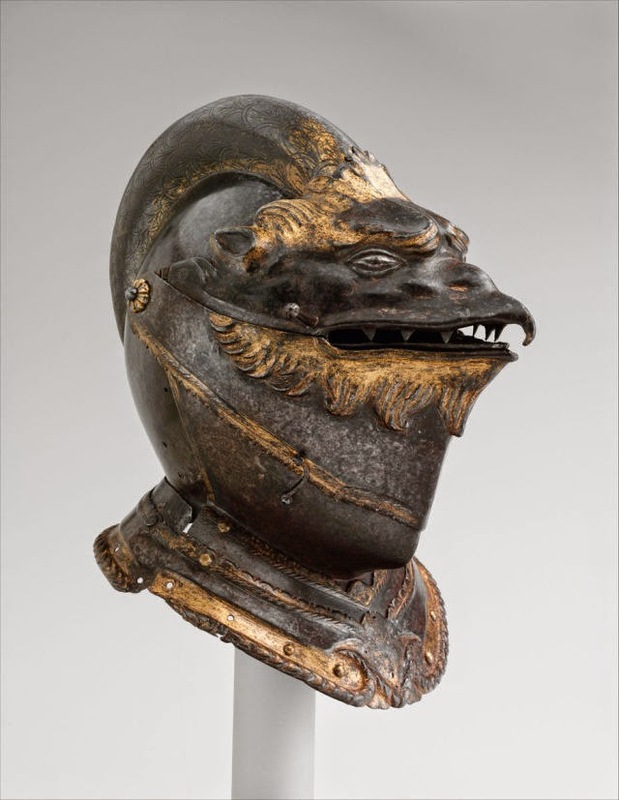 Helmet shaped like a griffin's head, Italian, Milan or Brescia, ca. 1550. 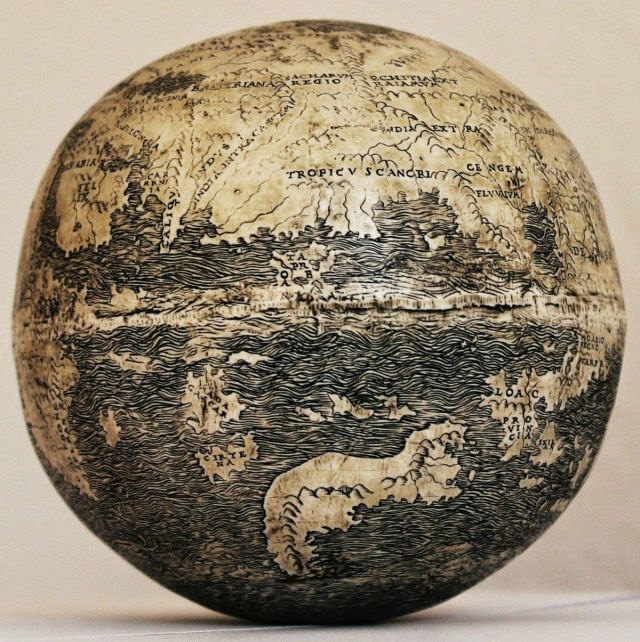 Oldest map of the New World, C.1504 AD, engraved on a 500 year old ostrich egg. 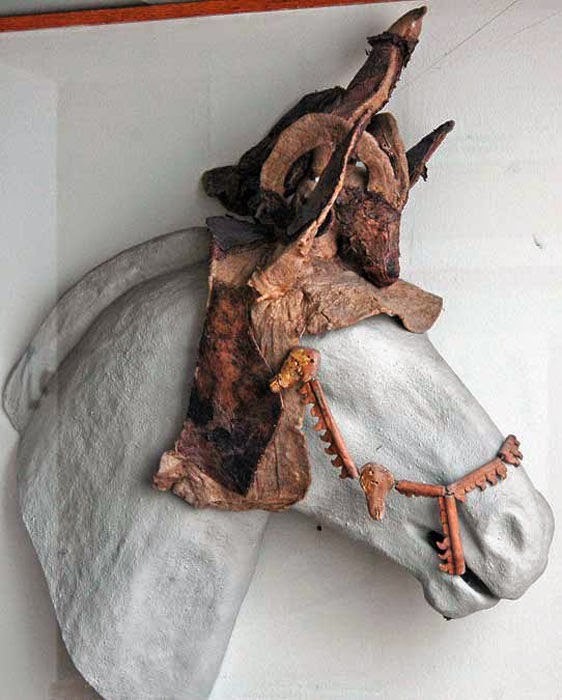 Horse head-dress. Crest in form of mountain goat with bird sitting on it. Pazyryk, Scythian, Altai, Barrow no. 2, 300-290 BCE. 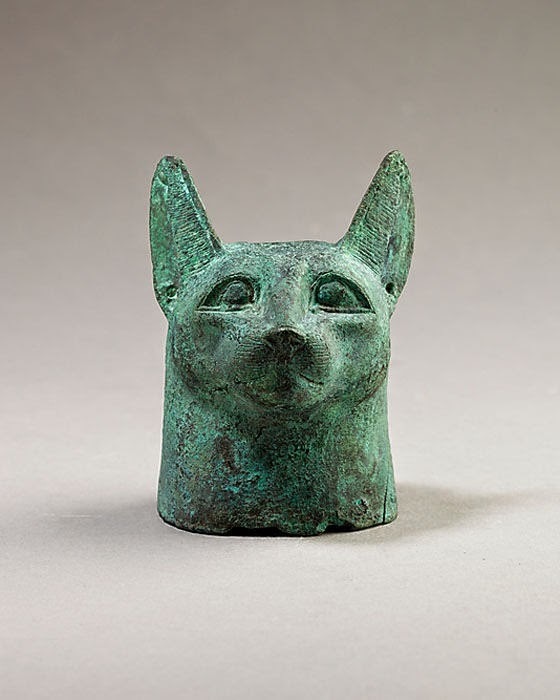 Head of a cat from the Late Period–Ptolemaic Period in Egypt, this one was made of copper alloy. 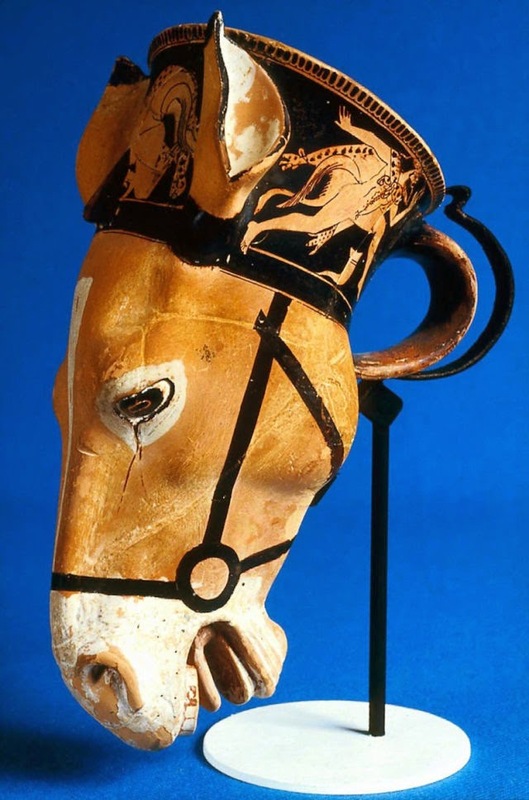 Cup in the shape of a donkey’s head, about 480 B.C., the Brygos Painter, Athens, Attica, Greece. 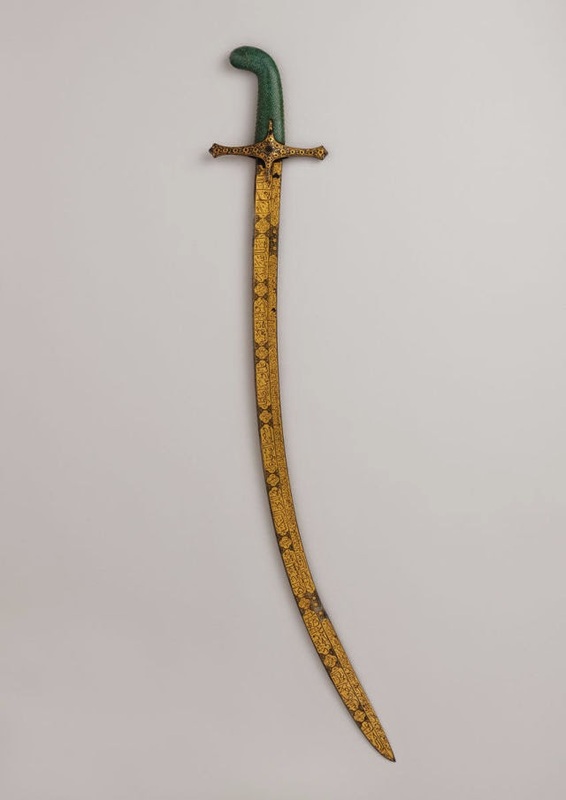 Romand sword found in Podlodowa (Poland). About 3rd century, was probably acquired by Przeworsk culture warrior by trade with Roman Empire. 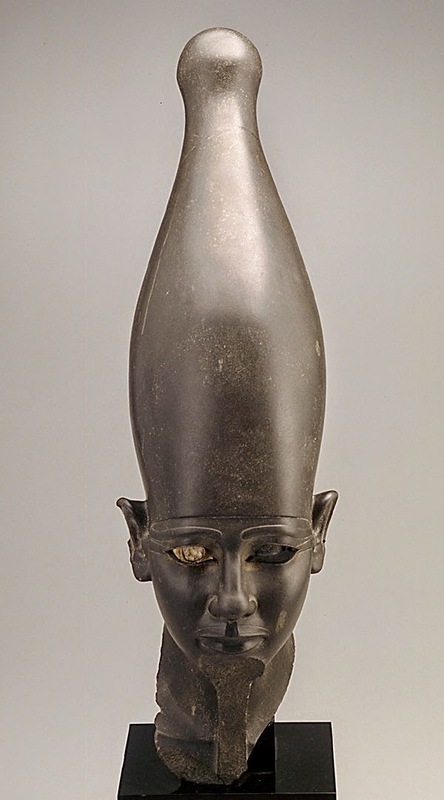 Head of an unknown Egyptian Pharaoh wearing the White Crown, signifying he ruled over southern Egypt, ca. 2675-2130 B.C.E. 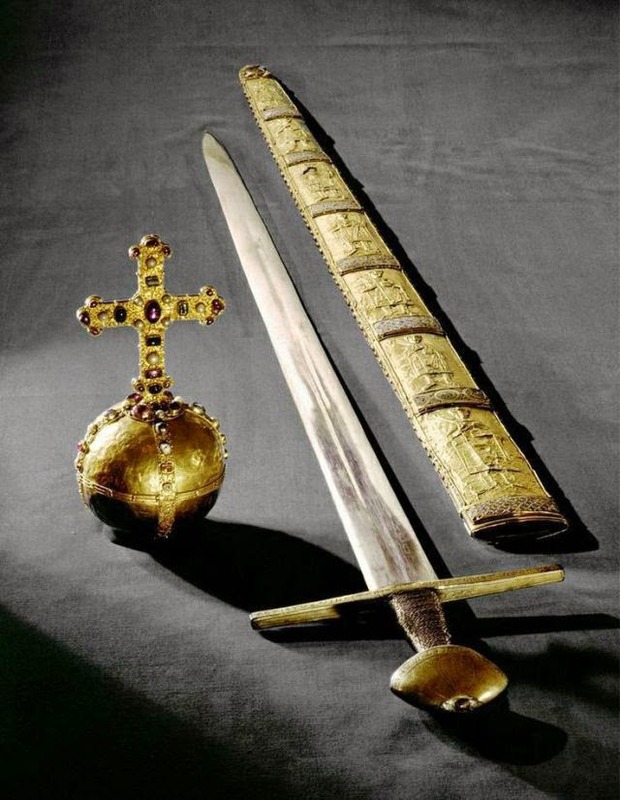 Imperial Orb, Sword and Scabbard of the Holy Roman Empire. The orb was made in Germany c.1200, the scabbard in Italy in the 2nd half of the 11th century, and the sword in Germany c.1198-1218. 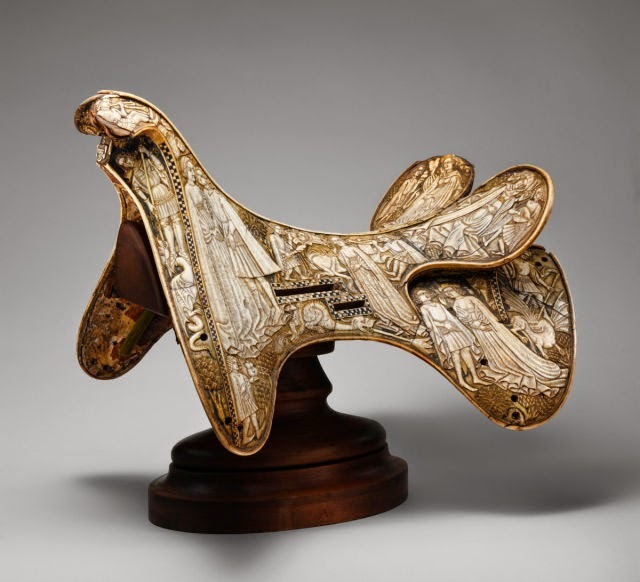 The gold panels on the scabbard depict kings and emperors from Charlemagne to Henry III. 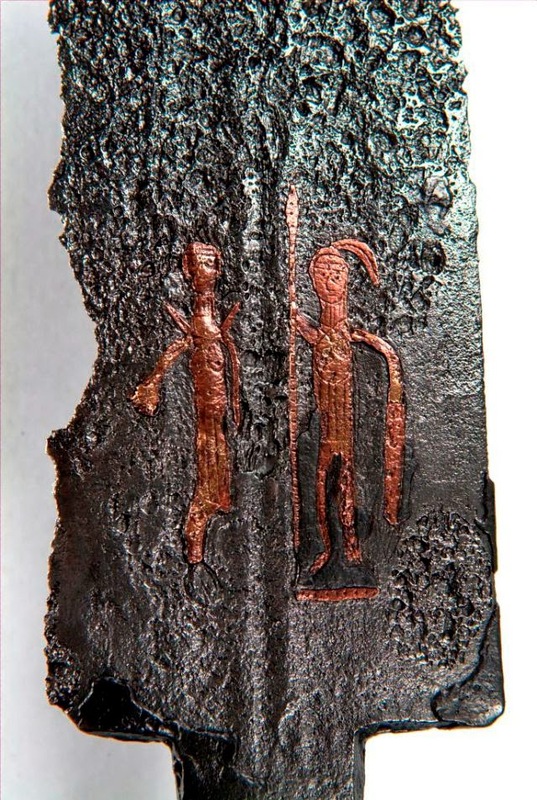 The Sun Holder, Found somewhere in Denmark, Bronze-age. The sun disc is made of amber, and when hold towards the light a cross appears. 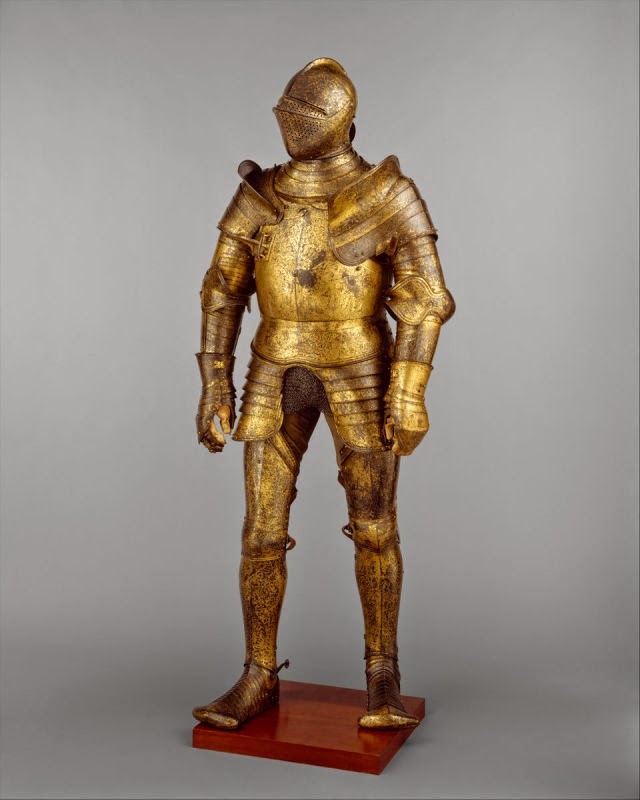 Armor (Yoroi); early 14th century. 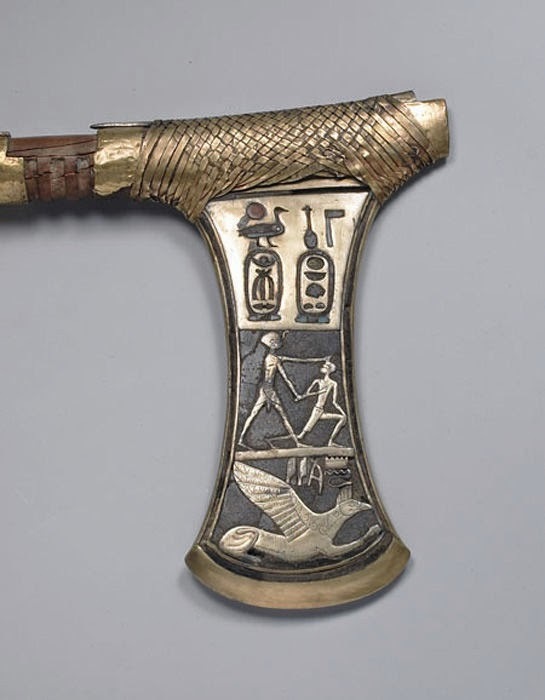 Axe from the Tomb of Queen Ahhotep IIZ, Thebes. New Kingdom, Dynasty 18, 16th Century BCE.